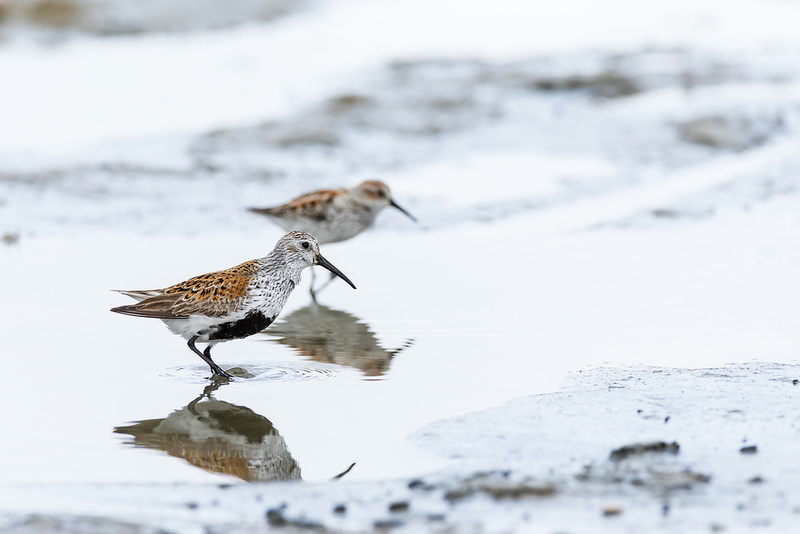 Dunlin (Calidris alpina) and Western Sandpiper (Caldris mauri) foraging at Hartney Bay in Cordova in Southcentral Alaska. Spring. Morning.